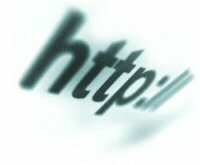 Finding the right domain name can be a challenging proposition. Conventional wisdom holds that the best names are all taken. But that's not necessarily the case. Many experts argue that the best domain name for your company is one that you already have... your company name. Register Your Domain Name for only $14.95 per Year! That's right... we'll register your new domain name for only $14.95 per year. This includes .com, .net, .org, .info, and more. And, the name will be yours. You will have full rights and authority to do with it as you please. We simply act on your behalf; handling the busy work for you. And once you're domain name has been registered and your new Web site has been completed, we'll provide a hosting solution.